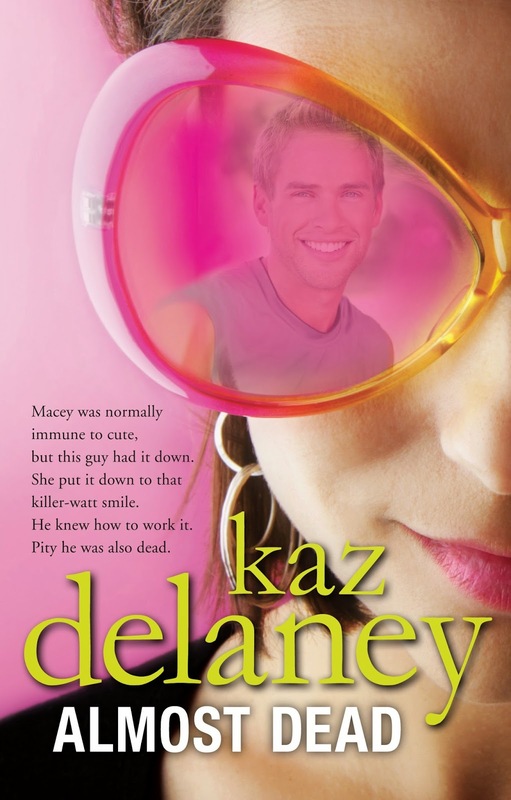 Kaz Delaney is the author of quite a few books but her new title, "Almost Dead", is - well - pretty lively! 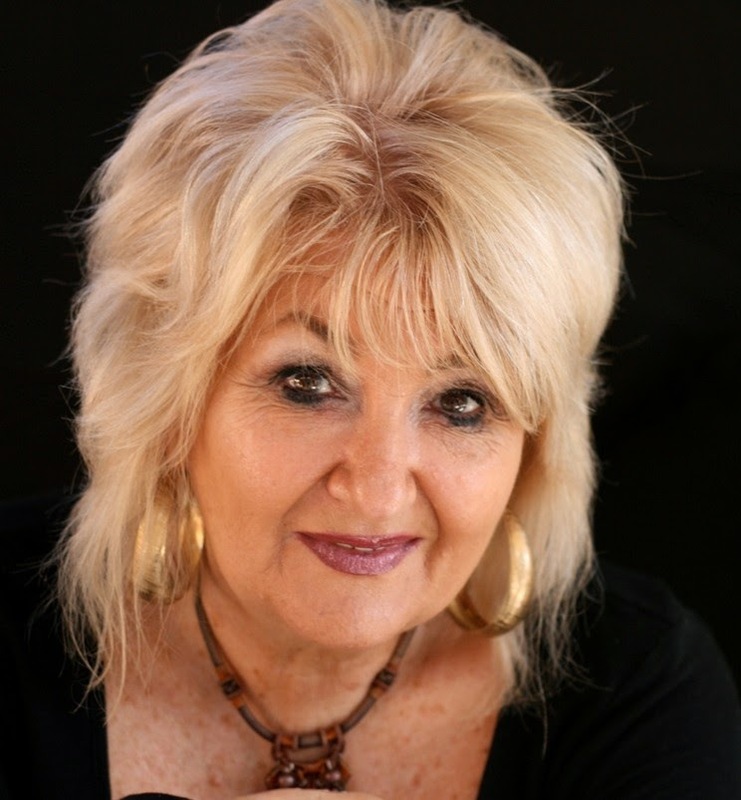 I am happy to host Kaz and her book at Spinning Pearls as part of her blog tour. Now, Kaz is a modest person (fun, bubbly, wonderful... but modest). So, I thought I'd put her just a little outside her comfort zone. This is not cruelty. It is a public service. I asked Kaz to pretend she was the ideal reader for "Almost Dead" and to write a wildly enthusiastic letter to someone extolling its virtues. I think you'll agree she did more than try. She totally pulled it off! Over to Kaz! Thank you so much for sending me Kaz Delaney’s latest young adult novel, Almost Dead. I certainly wasn’t disappointed. Man! That Macey Pentecost has such a lot going on in her life! At first she seems kind of tough, as in strong, and so self-contained but I soon found out that she can be just as vulnerable as the rest of us. Her outer shell is just a bit more brittle than - well - than mine, anyway. Okay, I wouldn’t say she’s all marshmallow once you peel back that shell – maybe a hard caramel that gets sweeter and softer the further you get into it? What do you think? Am I right? I really liked her! And she so smart and funny! And oh wow – that mouth! I wish I could think up lines like she can. Hilarious! I wouldn’t like to be on her bad side though. I don’t think she’s cruel; in fact, she’s got the really strong moral streak and she fights against social injustice all the time – but if you were the underdog, she’d be on your side and I swear it would be like having Batgirl there with you! Then again, if you were cruel or thoughtless – and especially if you act in a really stupid way – then be warned: she doesn’t take prisoners! I really liked that about her. My heart broke for her over the whole family thing. Man, I don’t know how she coped... I’m not sure how I’d cope if I was hit with something like that – especially right after her mother walked out. I don’t think I’d handle it as well as Macey did though. I’d probably fall apart and never leave my room! But you know, on second thought, it was definitely the stalker mystery that I loved best. I love, love a good mystery and this one kept me guessing all the way to the big reveal! And there were some parts that were downright scary! I couldn’t put it down; I had to keep reading to see who it was! And there were so many false clues! It could have been any one of them. Me? I truly had no idea who it was! It was like – whammo! Kaz Delaney caught me completely by surprise – and that was great! Ah-mazing! Yep, this has certainly gone down on my fave read pile for this summer. It has great pace – it really moves along quickly. Did it challenge me? Well, apart from the mystery – which is kind of a great game between author and reader - I guess it’s not that kind of book. This is pure entertainment and on that score it really delivered. And Kaz and her publisher are offering a free comp of Almost Dead. Since I know this giveaway will be popular, I'll give you the month of February to enter. At the end of the month I'll draw the winner out of a hat. And if you've already bought a copy by then, that is totally fine. You'll have an extra copy for a friend. What a great idea for a guest blog post, SallyO. And Kaz, you totally pulled it off. Great work both of you. Can't wait to read Almost Dead. Wow SallyO and Kaz, I loved this post:) You totally sold me on reading Almost Dead. Isn't it a fabulous idea, Sally M and Dee? Though, as Sally will attest - it terrified me, and in honesty I wasn't looking forward to it. We had a long conversation about how neither one of us is great at talking up our books. But she assured me that she'd explain it - and she did! After that it was just role play and so, so much fun! Such freedom! I began by thinking about what some of the reviewers had said and that gave me the first steps and then it just flowed. Thank you Sally O and Spinning Pearls! Very liberating - once I got over the first stumbling blocks. Having posted the blog, I promptly killed (by accident) my keyboard... but thanks for the visits, people. If anyone else would like a similar chance to toot your book's horn, let me know!